Sara Bondi been chosen in 2012 as first prize winner of the III Alexander & Bueno International Flute Competition, which brought her to her debut in Carnegie Hall New York. In April 2013 she won as well a Golden Award (97/100) at Svirel Competition in Slovenia. In February 2014 she was invited to held a serie of concerts and classes in different venues in the USA. 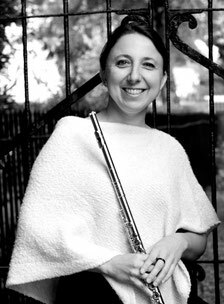 Since 2015 she works with the Quintetto HAR, which was invited to the La Côte Flute Festival in Switzerland. Ms. Bondi's extensive performance experience includes appearances in Austria, Italy, Spain and USA, both as a chamber musician and with orchestras, in venues such as the Teatro Toselli in Cuneo, Bilbao's Palacio Euskalduna, Haus der Musik in Viena, Concert Hall in Zaragoza, Auditorio Nacional in Madrid and Carnegie Hall in New York, with directors such as Andrés Orozco Estrada and György Györiványi Rath among others. Particularly noticeable as soloist performance is her interpretation of Reinecke’s flute Concert op.283 in front of the Camerata Musica Wien. In 2014 she worked with the orchestra of Opera de Madrid (Rigoletto and Barbiere di Siviglia), Madrid Philharmonic Orchestra (Lucia di Lammermoor) and OSM (Teatro Real) for El Amor Brujo. In 2015 she has worked with the Orchestra del Teatro Lirico di Cagliari, Italy. Sara Bondi began her music studies at the age of 7 in her native Cuneo, Italy, and attended conservatory there until receiving her degree. In 2000 she was invited by Professor Meinhard Niedermayr of the Wiener Philharmoniker to study with him at the Konservatorium der Stadt Wien, where she graduated in 2004. In July 2008 she has also graduated with highest marks in chamber music studies at the Conservatorio "G.F.Ghedini" of Cuneo. She furthers perfections her flute playing in masterclasses with Riccardo Ghiani and Bruno Cavallo for the flute and with Roberto Baiocco and Nicola Mazzanti for the piccolo. Flute professor at Afinarte Academy in Madrid before her moving back to Italy, she is now flute professor at SMIM school in Borgo San Dalmazzo and at Progetto HAR (Cuneo - Italy) and GLM - laboratorio musicale in Cuneo. She has published a book about "how to practice" in december 2012 and an Article on Joueurs de Flûte op.29 by A. Roussel (both in Spanish). Moreover Sara Bondi has graduated from Turin University, with a Major in German and she is attending a Master Degree in Counseling at ASPIC School from Genova.